Looking for ideas on how to better market multifamily properties online in 2019? Need to drive more online traffic, form fills, and calls from prospective residents? You have come to the right place. Below we outline our top 2019 multifamily marketing trends. The first item on our 2019 Multifamily Marketing Trends is not a specific trend. Rather, it is a trend that applies to all other trends. 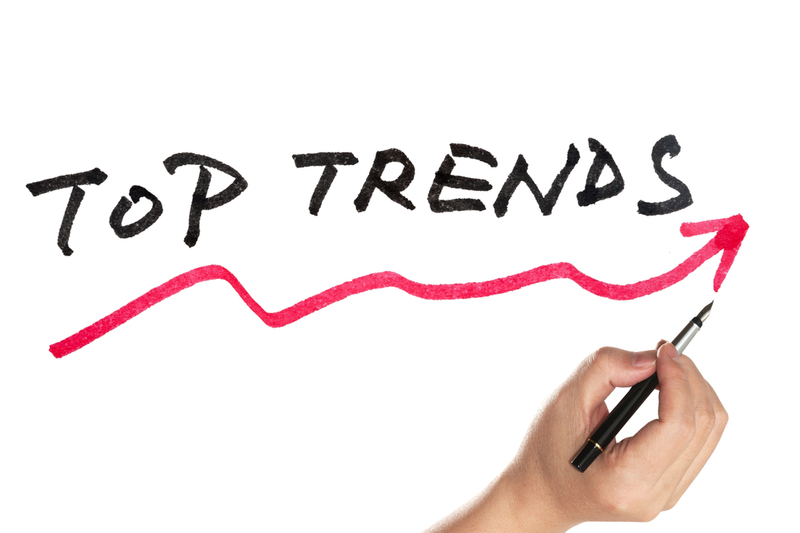 Simply put, trends come and go quicker than ever before. A trend in the first quarter of the year could fall out of favor by the third quarter and be irrelevant by the fourth. As a result, property managers must stay on top of trends and be ready to try new things throughout the year. At the same time, they must be prepared to quit things that are not working. Invested heavily in Snapchat ads or filters? Do not be afraid to cut them off if they are not working to drive rental applications. Voice search is on the rise. Currently 1 in 6 Americans have a smart speaker in their residence. By 2022, OC&C Strategy Consultants predicts 55% of residences will contain a smart speaker. This means more and more people will be using voice search to find apartments. Consequently, effectively marketing a multifamily property in 2019 (and beyond), means optimizing it for voice search. Unfortunately, optimizing for voice search is complex, and likely beyond the marketing skills of most property managers. Anyone interested in voice search should consider hiring a voice SEO agency. Have a couple residents with a large Instagram following? Consider asking them to help cross promote the property in their posts. This could include geo-tagging their photos with the property’s official location or mentioning it in their posts. The value is that your property gains exposure to their followers with every post. This can potentially help your property reach thousands of people, who likely fit your target demographic for new residents. While top influencers command huge fees for Instagram posts, small influencers with less than 10,000 followers are much more affordable. A resident with a few thousand followers might even be willing to do this for free, if you ask them nicely! A simple way to find your residents are on Instagram is to ask for their username when they sign their lease or move in. Just let them know you are asking because the property focuses on engaging residents on their social media accounts. Ultimately, this works because most people want more followers on Instagram. Similar to voice search, video marketing is not going away. In fact, YouTube represents the world’s second largest search engine. As a result, property managers need a video marketing strategy. In 2019, this can include three unique types of videos. For our 2019 multifamily marketing trends, the most important type are professionally made promotional videos. These videos can be run as ads targeting YouTube users based on location, demographics, search history, and more. Surprisingly, YouTube video ads are affordable. There is no charge if someone clicks “Skip Ad” and a complete view of an ad typically costs $0.25. During the early stages of an apartment hunt, building amenities are extremely important to attract initial inquiries. Often times, they are the difference maker in whether or not someone contacts the leasing office. For this reason, they must be included in your property’s marketing message. This is especially important at property’s catering to specific populations, such as millennials, students, and seniors. At these types of property’s, the marketing message needs to highlight the amenities that are most relevant to that particular type of resident. Think about on property activities at a 55+ property versus online payment and maintenance request systems at a property targeting millennial renters. Any multifamily property investing in online marketing, needs to explore accelerated mobile pages. The last of our 2019 multifamily marketing trends, accelerated mobile pages, commonly shortened to AMP, have ultra fast load times on mobile devices. This makes a property’s website easier to use and increases the chances a prospect will fill out a contact form. Conversely, slow page load speeds cause prospects to exit a page simply because they get tired of waiting for it to load. What 2019 multifamily marketing trends is your property most likely to use? What trends or ideas did we miss? Send us an email and we will update property rolling to sign more leases?